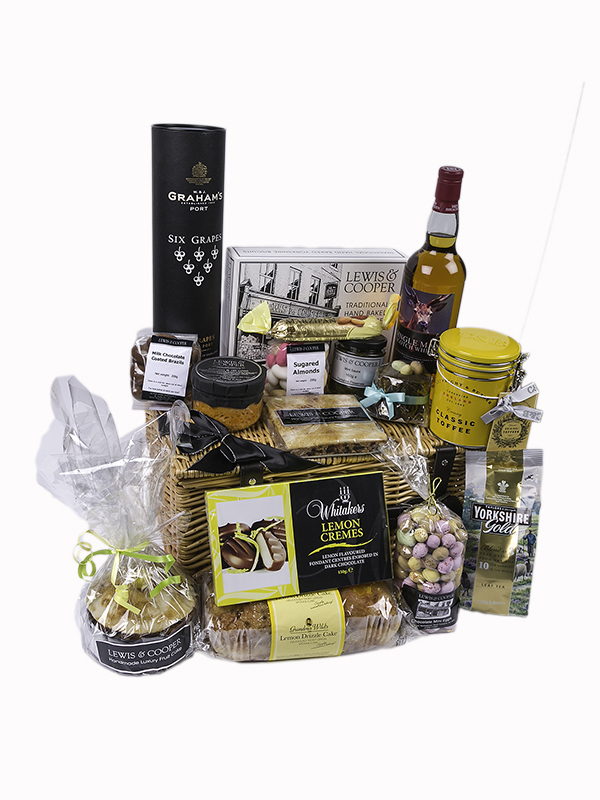 Here's your ultimate Easter gift, overflowing with a feast of Lewis & Cooper goodies. Our Happy Easter Basket features everything you and your friends and family could wish for. Enjoy a traditional Easter simnel cake, Graham's Six Grapes Port, the bespoke L&C Single Malt Whisky and a Golden Chocolate Nest Cake.